Commercial insurance premiums can be a significant expense for a small business owner. If you can reduce this cost, you will have more money to invest in your business. Here are 10 steps you can take to help lower your insurance premiums. These tasks should be performed every year well before your policies renew. The first step is to review your insurance file. The file should contain copies of all your insurance policies so they are readily available when you need them. You should also keep copies of claim forms. 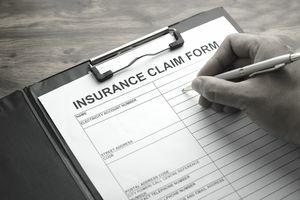 You'll need a separate claim form for each type of policy. Be sure to maintain a duplicate insurance file at an off-site location, such as a safe deposit box at your bank. This will ensure that you have access to your policies and claim forms if your original file is destroyed by a fire or other peril. Review the schedule of covered vehicles or machinery on your commercial auto, property, or equipment policy. Does your business still own all of the vehicles or equipment listed? Has your company purchased any items that aren't listed in the policy? Ask your agent or broker, or your insurer to make any changes that are necessary. You should also review the list of vehicles that are insured for comprehensive or collision under your auto policy. Auto physical damage losses are valued based on the actual cash value of the damaged vehicle. Most autos decline in value as they age. Consequently, it is generally not cost-effective to insure older vehicles for physical damage. Most businesses experience some turnover in employees. Thus, you should review the list of vehicle drivers you have provided to your auto insurer. Are the drivers on the list current employees? Your insurer may be charging a high rate for a problem driver you no longer employ. Moreover, a coverage you purchased for a specific employee, such as Drive Other Car Coverage, may not be needed if that worker has left your company and has not been replaced. Businesses change over time. Your policies may cover risks that no longer exist. An example is a building you sold several months ago that is still scheduled for your property policy. Some coverages may overlap or duplicate each other. You don't need to insure hired autos and non-owned autos under your general liability policy if those vehicles are covered by your commercial auto policy. Ask your agent for assistance if you need help identifying overlapping or duplicate coverages. A safety plan can help you eliminate hazards that can lead to accidents, injuries, and lawsuits. However, a safety plan will be effective only if it is enforced consistently. Review your plan annually and evaluate its results. A good safety program can help you reduce losses and lower your workers' compensation and general liability premiums. If you need help establishing a safety plan, consult your insurer. Many insurers offer risk control services to their policyholders. The rates charged for workers compensation coverage may vary widely from one classification to another. Thus, it is important to ensure your workers are classified correctly. Otherwise, you may pay more than you should for insurance. If your sales workers are misclassified as production workers, your premium may be unnecessarily high. Ask your agent or broker for suggestions on how to obtain lower rates and premiums. He or she may offer options for reducing the cost of your insurance. Your agent may suggest increasing your deductibles, switching insurers or utilizing self-insurance. Some trade or professional organizations offer insurance coverage to members through an affiliation with an insurance company. This coverage may be cheaper than insurance you purchase on your own. Even if the organization doesn't offer insurance, its members may share tips on how to obtain appropriate insurance at a good price. Health and workers' compensation premiums will be lower if your workforce is healthy. Set a good example for your workers. If you smoke, quit. Adopt a no smoking policy at your company. Encourage your workers to exercise by organizing lunchtime walks or yoga classes. Consider a partial reimbursement of a health club membership as an employee benefit. Workers need the training to ensure they perform their jobs properly. Well-trained workers are less likely to sustain on-the-job injuries or injure someone else. Your insurer may reward you for performing certain types of training by reducing your premium. For example, you may earn a discount on your commercial auto premium in exchange for a defensive driving program you provide to your employee drivers. Ask your insurer what types of training will reduce your insurance costs.